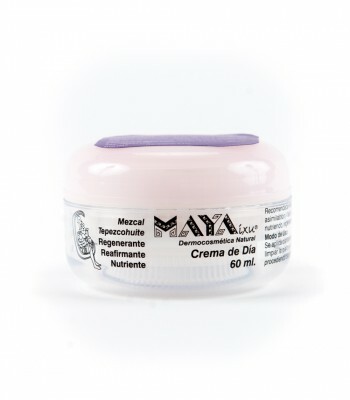 Maya Ixu is a Dermo-cosmetics line, based in Mexico City, that uses the ancient Mayan herbalism and combines it with more advanced cosmetic techniques to develop a line of products that uses as active ingredients the same properties found in Mexican plants and fruits. This company makes facial and body treatments that due its innovative formula penetrate deep into the skin, biochemically modifying its nutrients, thereby giving excellent results. This 3.38 oz. glass of SPF 50 sunscreen is ideal for its daily use on the face and body, it is waterproof and recommended for delicate, irritated skins, and skins sensitive to the sun. It acts as a skin regenerative and protects against UVA and UBV rays by preventing the pigmentation or dyschromia that appears due the sun ray exposure. Made of Tepezcohuite and Yucca extract, which act as a sun filter. It also regenerates the skin and protects it from sun radiation by using the regenerative properties of Tepezcohuite and the sunscreen properties of the Yucca that aside from being a great moisturizer, it acts as a natural sun filter that will not cause any allergic reaction. 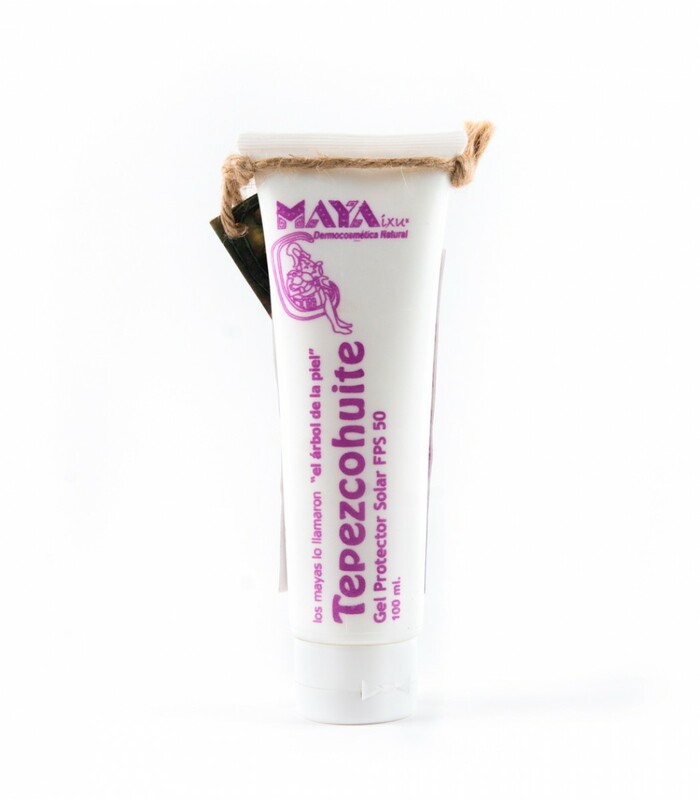 The Tepezcohuite extract is rich in minerals, phenolic acids, flavonoids, tannins and terpenoids. 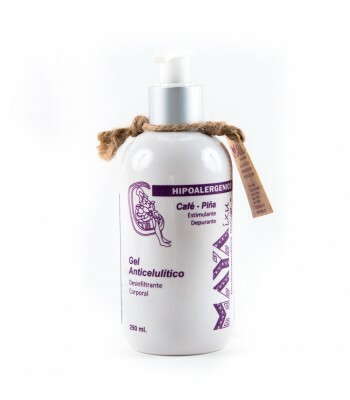 It contains cosmetic properties such as healing, anti-free radical, regenerative and firming. It acts on a cellular level and extends the active life of cells and corrects its appropriate division. Apply before makeup or on clean skin, on face, neck and body. 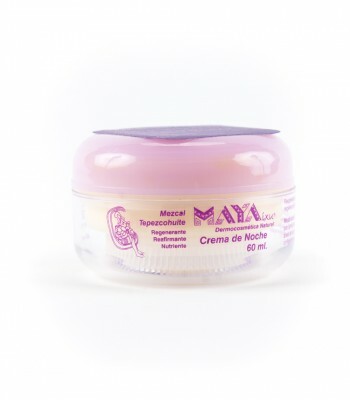 Maya Ixu Natural Dermo-cosmetics. 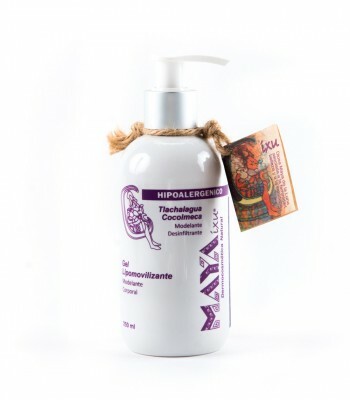 The benefits of the Mexican Phytocosmetics at the service of your beauty. To Mayans, nature is not dead, to them, nature is governed by intelligent and sacred principles, each plant, each animal, and each mineral has its own element which in turn, is governed by supreme beings. Ixu is the Mayan Goddess of the Moon who represents the male and female eternal principle… she is the Mother Goddess associated to the moon, femininity, love, beauty, wisdom and nature… Maya Ixu is a Dermo-cosmetics line that uses the ancient Mayan herbalism and combines it with more advanced cosmetic techniques to develop a line of products that uses as active ingredients the same properties found in Mexican plants and fruits. This company makes facial and body treatments that due its innovative formula penetrate deep into the skin, biochemically modifying its nutrients, thereby giving excellent results.